Janitorial Cleaning Services of New York City provides the following services to a wide array of professionals, including corporate business offices, industrial locations, medical offices, post-construction sites, restaurants, schools, universities and any location that is in need of a professional and reputable cleaning service company in the New York City area. Commercial Building Cleaning Professional commercial cleaning service & commercial building cleaning from one of the highest-quality commercial office cleaning services in NYC. Restaurant Cleaning Restaurant cleaning services for the budget conscious eatery – set up a custom routine restaurant cleaning schedule for your restaurant cleaning needs. Industrial Cleaning Industrial cleaning services in New York City: We’re inexpensive and experienced, providing everything you need from an industrial cleaning service. Medical Office Cleaning Office cleaning New York City and its many industries, our staff is specially trained for medical office cleaning. Call for a free estimate. Post Construction Cleaning Post construction cleaning services and commercial building cleaning from a professional commercial cleaning company for a reasonable cost; free quote. 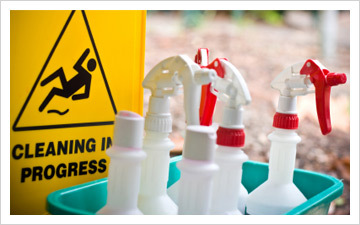 Office Building Cleaning Office cleaning & office building cleaning from trained office cleaners – let us provide the clean office you and your employees deserve at a low cost. Floor Cleaning Services Professional floor cleaning from NYC’s best commercial office cleaning company – get a free quote for our professional floor cleaning services today. Floor Waxing Services Floor waxing services for less; Save with Janitorial Cleaning Services New York LLC Inc. floor waxing and have more money to make your business run. Window Cleaning Services Window Cleaning NYC: Janitorial Cleaning Services New York LLC Inc. is some of the best and most affordable window cleaning New York City has to offer.